Anyway! 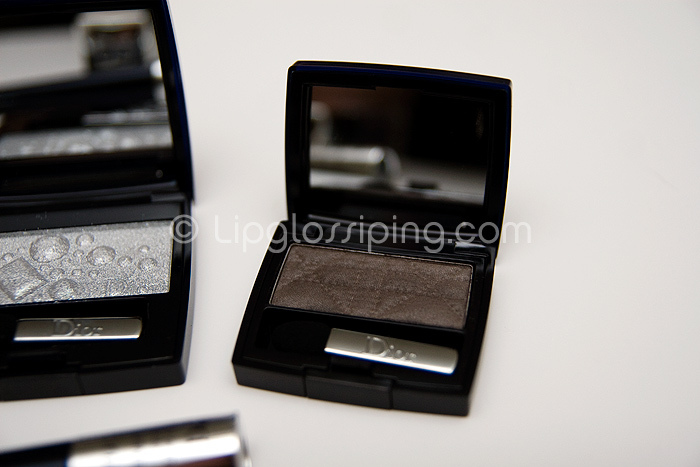 I was a woman possessed obsessed with the Dior Cristal Boreal Holiday Collection and when I picked up a few pieces, a couple more shadows from the new One Couleur Extreme range fell into my hot sweaty hands too. 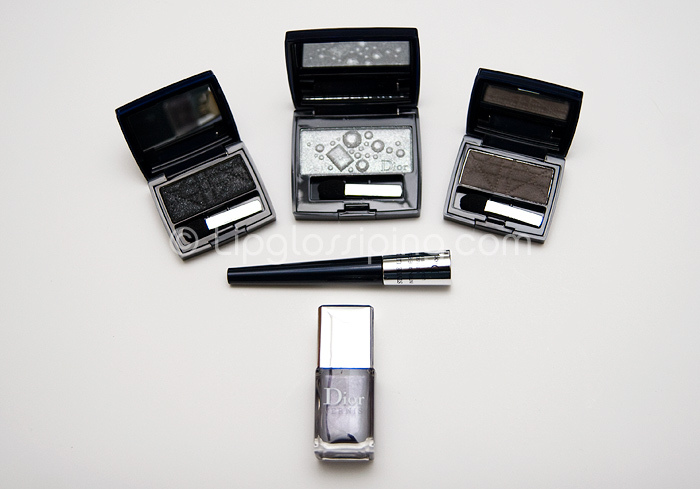 Left to Right on the top row: Dior One Couleur Extreme Eye Shadow in Flash Black, Dior One Couleur Extreme Eye Shadow in Silver Gem (LE), Dior One Couleur Extreme Eye Shadow in Trendy Taupe. 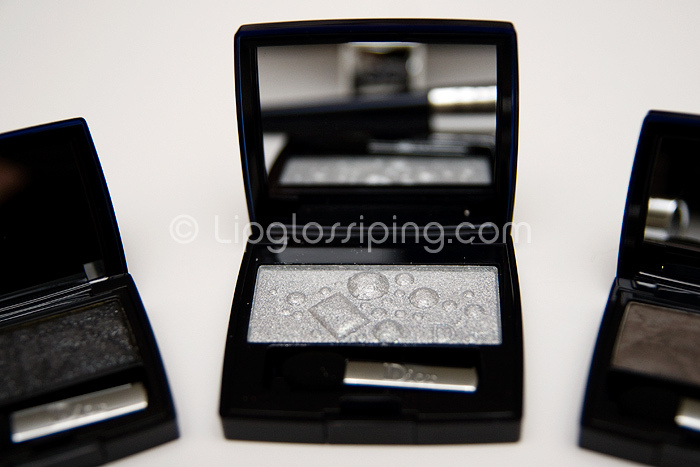 Flash Black: A true black infused with silver sparkle… this is such a great base for a wonderful smoky eye. 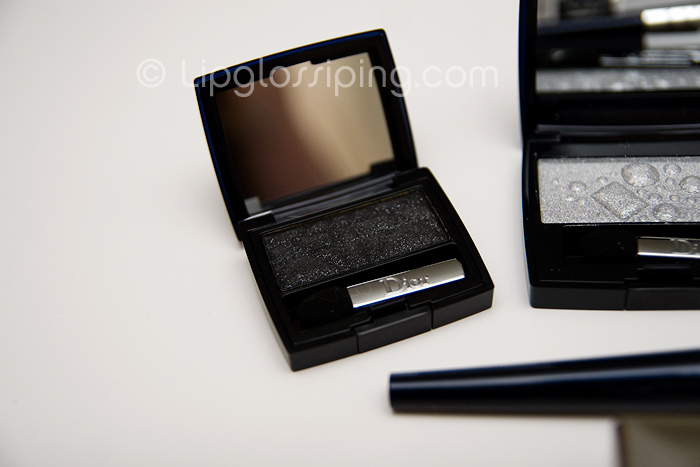 Silver Gem (LE) – This is a limited edition silver from the Cristal Boreal Holiday 2009 Collection… this is the shadow that I first swatched on counter that made me loopy for the collection. It’s a pretty darn opaque silver with a buttery finish. Trendy Taupe – A teeny bit disappointing because it’s so dark on me, I wanted more of a midtone shade for the lid and this fairly pigmented shade doesn’t quite fit the bill. 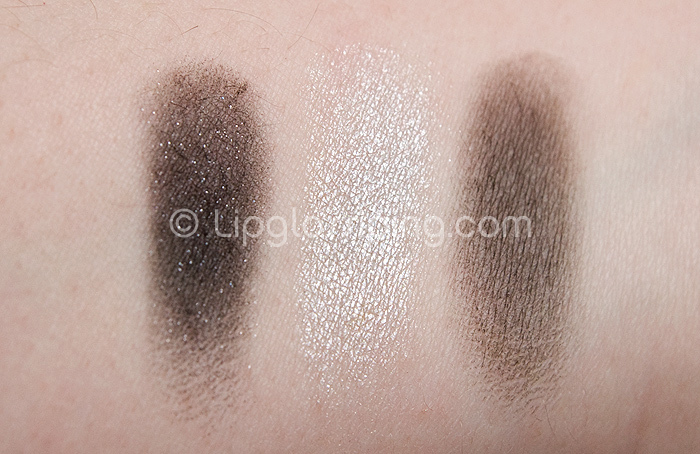 The cast of characters… You can see the sparkle of Flash Black (left), the opaqueness of Silver Gem (middle) and the deep tones of Trendy Taupe (right). I think that concludes my pre-Christmas Dior haul…. now to find a new obsession for Spring/Summer… What’s on your radar? In all seriousness, I’m kind of excited for the new MAC collection – the one – London-something with the pretty packaging. And for UD to finally put out the full size 24/7s from the super stash which was a super dissapointment with the teeny sizes.